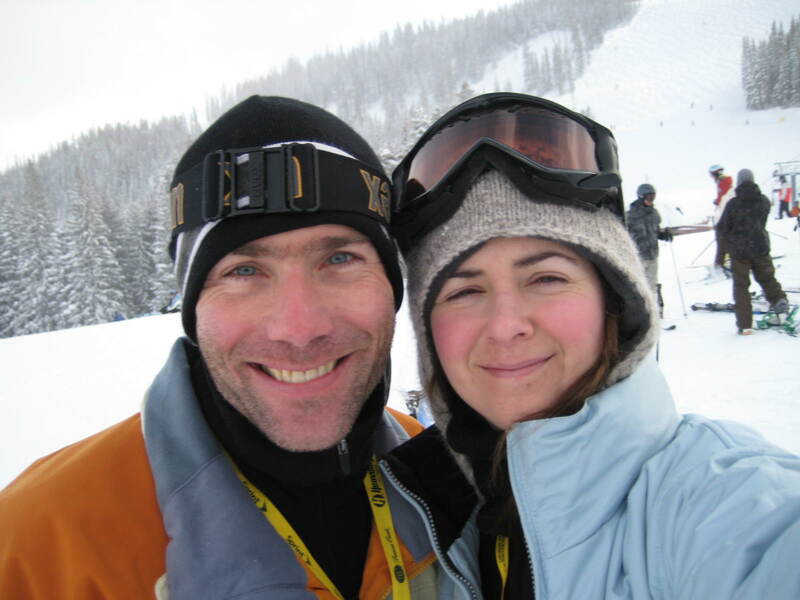 This is a self portrait from Saturday when we were on the slopes. And one of Grady with a spectacular view behind him. The rest are from yesterday’s snowmobiling adventure. 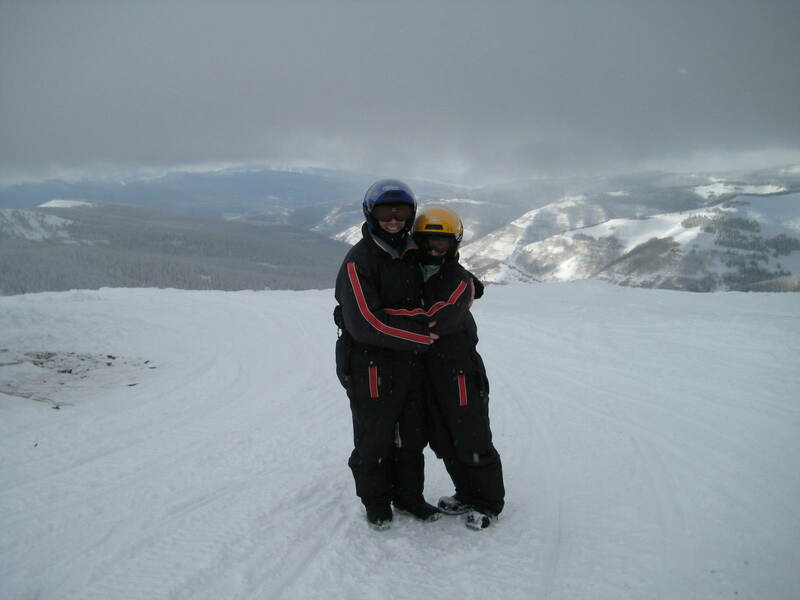 We go snowmobiling every time we go on a ski trip because it’s my favorite part of our ski trip. Yesterday was quite an adventure. We went on terrain that I would have never thought I would go on. If the 3rd picture looks like I’m clinging to Grady for dear life, I am. We are on top of a huge mountain (can you tell by the views?). 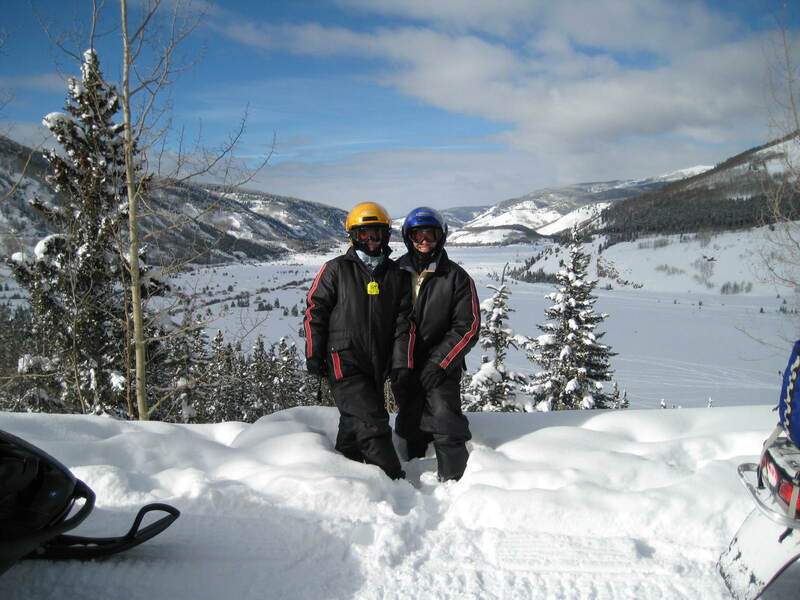 We had just snowmobiled straight up the mountain we’re standing on – I mean straight up it – no snaking up it – just straight up – I was screaming the whole way up! We actually look like we’re in the clouds. We could not have picked a better place to be on the Lord’s Day than where we were. We got to hear a great message ‘preached’ by creation (Ps 19:1) telling of God’s glory. I sang my heart out while we road through the beautiful forest. 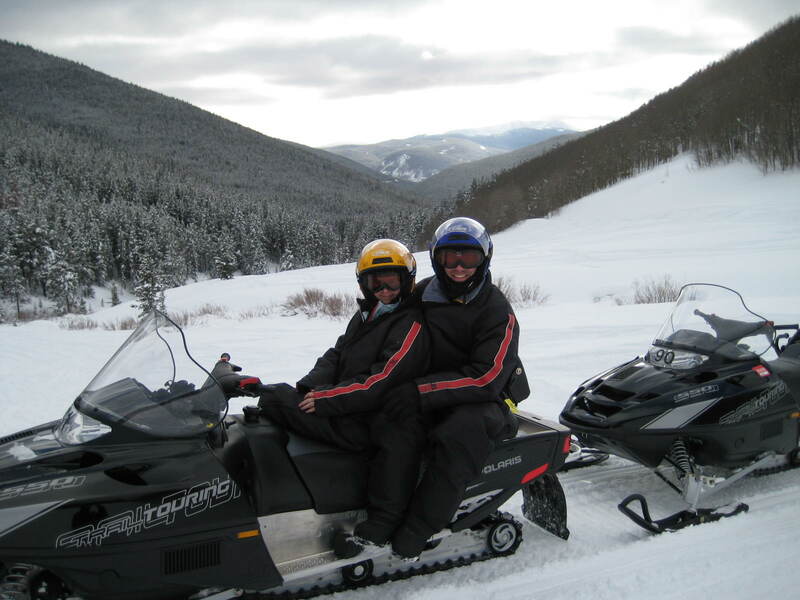 That’s one thing I love about snowmobiling – the machines are loud so I can praise the Lord all I want. I have to admit I do wonder sometimes (Grady’s going to die that I’m admitting this) if they have microphones in the helmets and listen to you – but I quickly get over that knowing with my horrible singing if they were listening they would quickly turn the microphones off!!! So I really enjoyed the day, the creation, and my God the Creator. We had a great guide named Mike. He worked very hard that day – mainly because of me – I kept getting stuck. It takes a lot of strength to maneuver those machines and I’m not the strongest girl ever :). 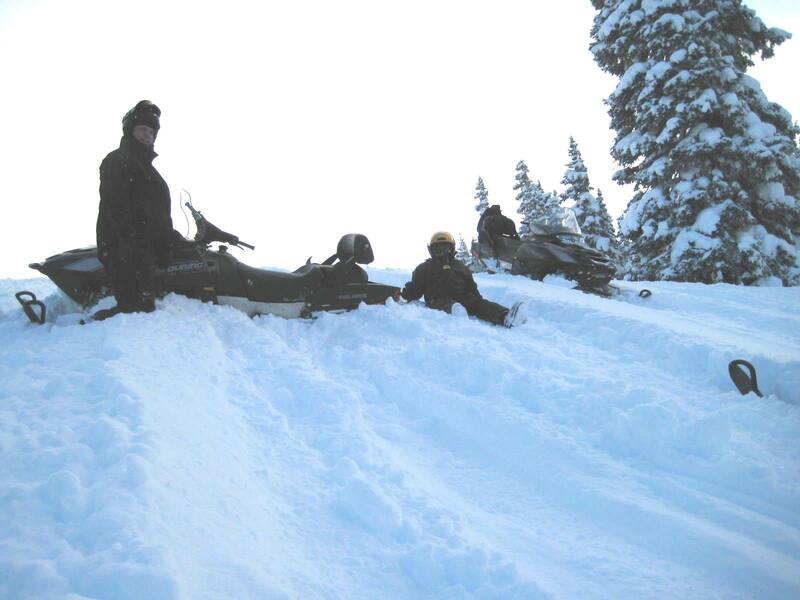 At one point, Mike had us go up an incline that was covered in powder – very deep powder (when I stepped off the snowmobile my entire leg disappeared in the snow) and I got stuck going up it. Actually Grady got stuck too, but I think it’s just because he was behind me. 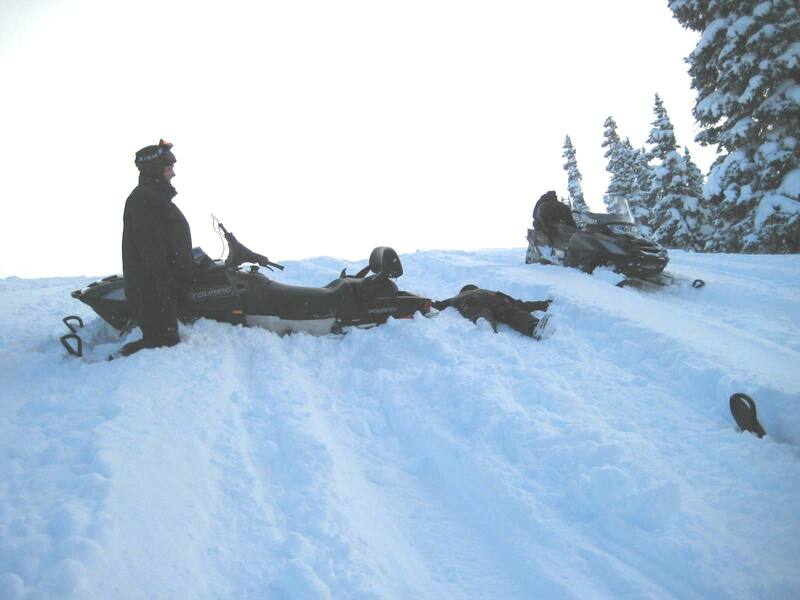 Poor Mike had to come back down and DIG OUT both of our snowmobiles – serious hard work. In the first picture you can see that Mike dug part of it out but still had to get it turned around. I’m sitting on the side resting :), but got tired from watching all the hard work and from the fear that had overcome me as we got stuck on the hill – I decided to lay down (or more like collapse) and rest – result of second picture. I thought about sending the second picture to my Mom and telling her I had had an accident, but Grady said that wouldn’t be nice. Today I’m resting and recuperating in the room while I paint and read while Grady is skiing in Vail. I’ll get back out on the slopes tomorrow. We did have a blast Audrey! 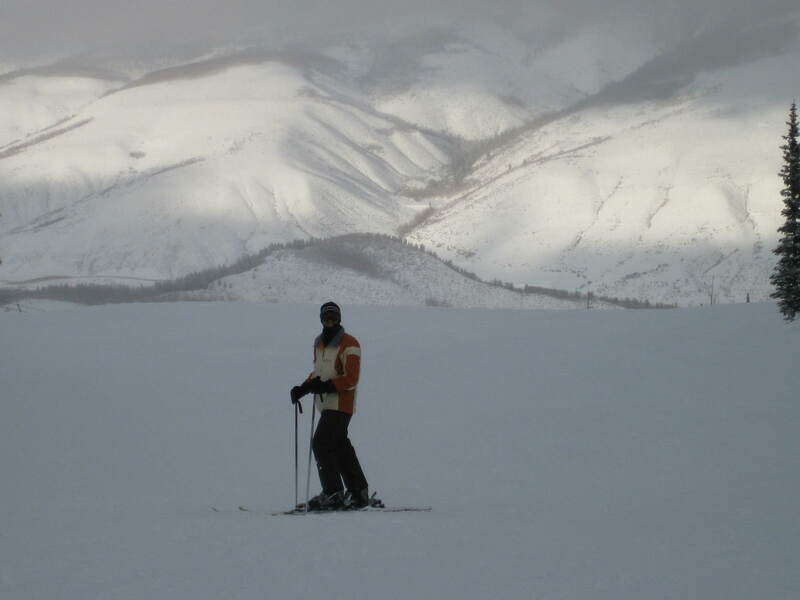 No black’s for me, but skiing did click this time and I loved it!